Socal Econ Bar & Plate Set is rated 4.9 out of 5 by 25. Rated 5 out of 5 by jasonsuch86 from super satisfied! I'm very happy that I went with this set for my garage gym. It has been getting regular use now for over 10 months doing Stronglifts 5x5. 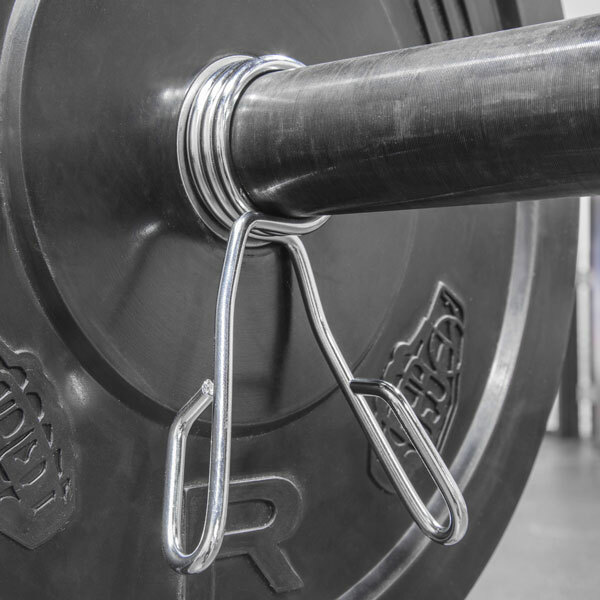 I like how the beater bar is a little thicker and feels comfortable doing the basic barbell exercises. I don't plan on doing crossfit movements so that is why this set is perfect for me. The weights have been holding up well and slide on and off the bar with ease. Rubber weights is a must for me so I don't disturb the wife and kids during the early hours of the morning slamming them around. I'll be ordering and extra set of 45's and 10's here soon then I'll be good for a little while more. Overall I'm very satisfied with my purchase and recommend this set to anyone who is doing strength training such as stronglifts 5x5. Rated 5 out of 5 by justin352 from Good for a beginner weightlifting set Bought this because it was a good bargain deal. I compared it to other weightlifting brand sets and this is a good bang for your buck. I upgraded to an econ bar because the diameter is smaller. Been banging it on the floor for a couple of months when i do my snatches and clean and jerks and its still holding up. and shipping was great. Rogue keep up the good work. Rated 5 out of 5 by Hybrid muscle from Awesome workout set. Just received the set yesterday and I put them to work right away. I'm super excited on how the plates look and perform. 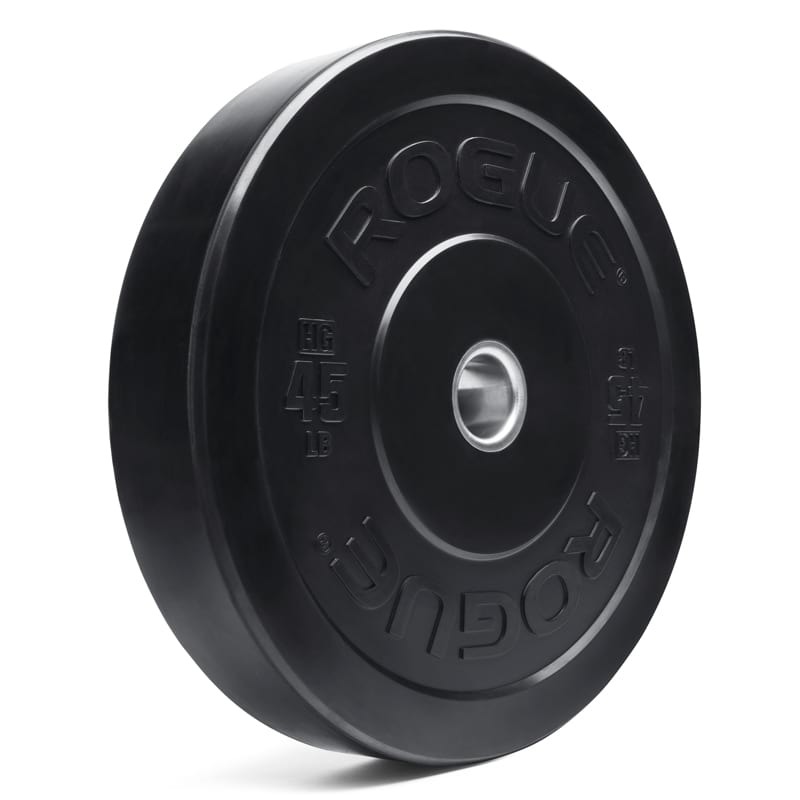 The ROGUE HG 2.0 BUMPER PLATES look exactly like the pictures up on the site. I upgraded the bar to the rogue echo bar and it feels really nice. I've been lifting for some time now and this set will still work your behind off depending on how you use it! thanks rogue fitness!! Rated 5 out of 5 by Boreded102 from Love this simple package So I ordered mine right after Christmas and it has been amazing so far. I upgraded to the black bar and the barbell looks slick. It is nice to have a set of weights to throw around in my garage and not just use dumbbells to work out with. I use it about 5 out of 7 days a week and it has not disappoint so far. Rated 5 out of 5 by Duzten from A+ equiptment I ordered on a Sunday and upgraded to the echo bar since it had a smaller diameter. The bar and clips arrived Tuesday and the bumper weights arrived Wednesday. Out of the box the bar and weights look great, everything seems well built and strong. I was worried about the 10's being too flimsy after reading other reviews but they should be fine unless you drop them alone from overhead continuously. I've seen some 10 lb bumper plates at the gym that the inner metal ring busts from the rubber, but they are probably being used and abused all day and that is after four years. I've worked out with this set three times so far at my house and haven't been disappointed. 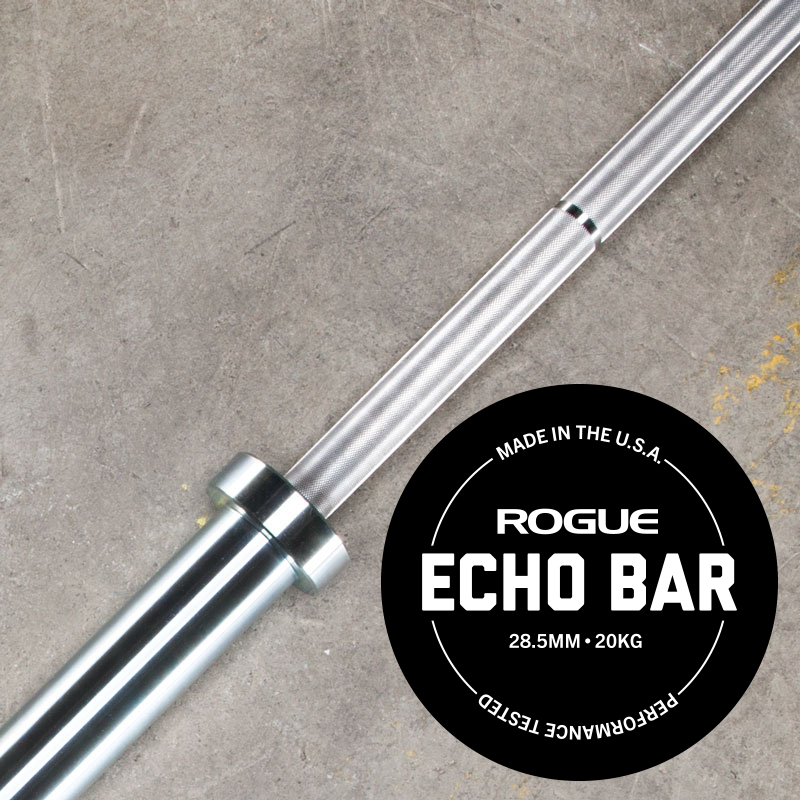 Very happy about my decision to upgrade to the echo bar, I was worried about the beater bar being too thick and stiff. I bought a different set of clips because I struggle with the spring clips. The spring clips hold fine but take me too long to switch weights. I've worked out with the rogue bumper plates at the gym I go to for a while now and I know the quality is great. If your looking for a set at home to use when you skip going to the gym like myself this is the perfect set. One thing I almost overlooked is even though the total weight of the bumpers is 160, you still have the 45 lb bar weight which brings the total weight to 205. Rated 5 out of 5 by Hhiness from Bumper plate and bar The econ bar and bumper plate set is perfect. The weights slide off with no sticking. Only problem I have with this set is I use it in a workout room inside the house and after having the set for close to a month the rubber still has a strong smell. Other than that the plates are made very well and the bar is perfect. Rated 5 out of 5 by PeterNY10 from Maintain The Socal bar and plate set is perfect for the home/garage gym! Helps me maintain my workouts when I'm not able to go the my crossfit box. Great price and great value! !